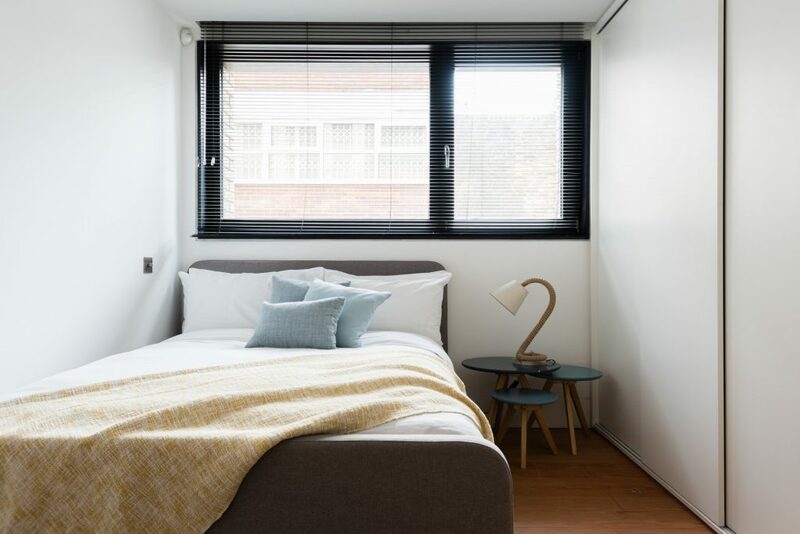 This contemporary three-bedroom home can comfortably sleep up to 8 people with three bedrooms and a sofa bed. 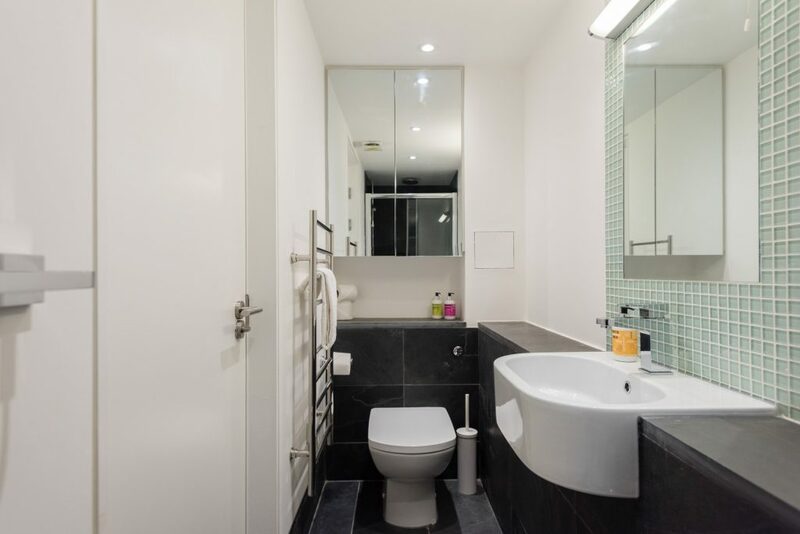 It has been recently refurbished to the highest standard with modern fittings and a stylish architectural interior. There is a spacious open plan living and the kitchen comes fully equipped and fitted with state of the art appliances. 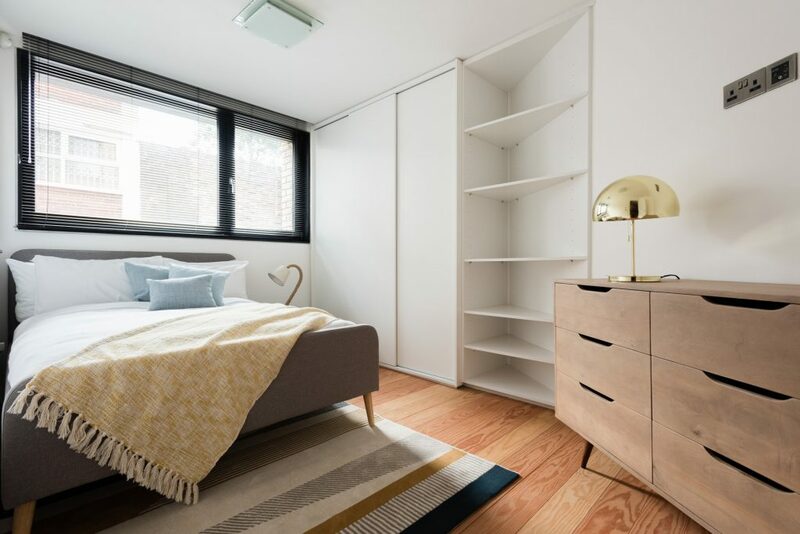 There are three double bedrooms, two bathrooms, and the home has underfloor heating and beautiful natural light throughout. 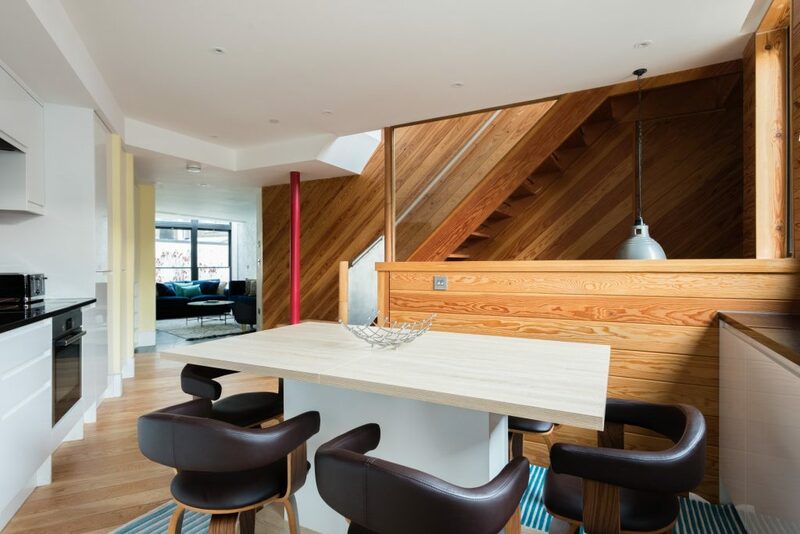 This home has been recently redecorated in a trendy, modern style, with new furniture and interiors. 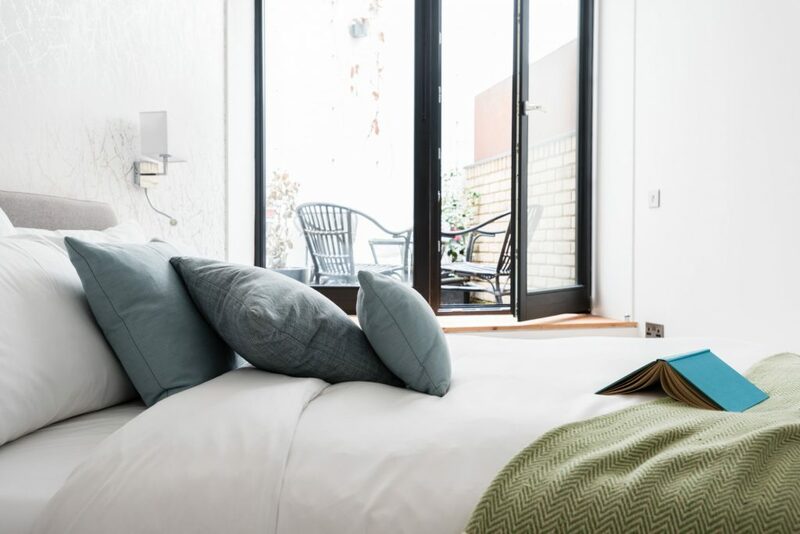 Each bed has a high-quality mattress and can sleep two guests. 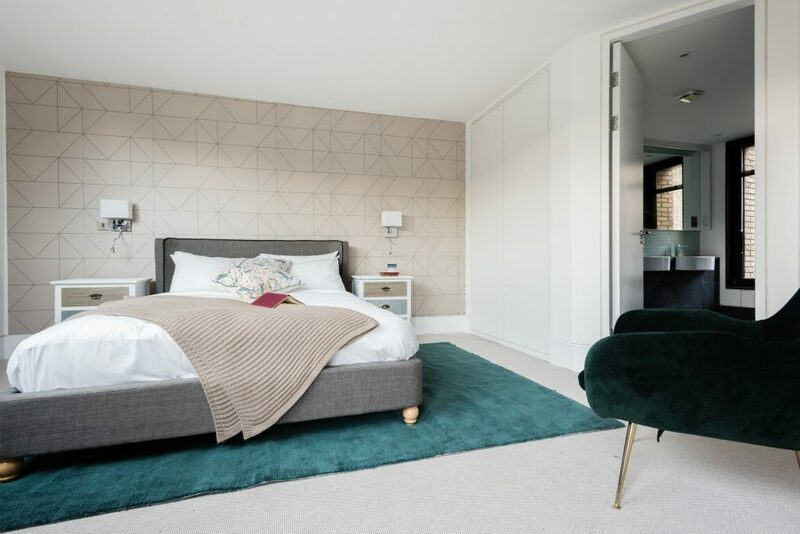 There is a master bedroom with a beautiful en suite bathroom upstairs, and two double bedrooms with a shared shower room on the lower ground floor. The living room can comfortably accommodate all guests, and it also features a sofa bed that can comfortably sleep one more guest. 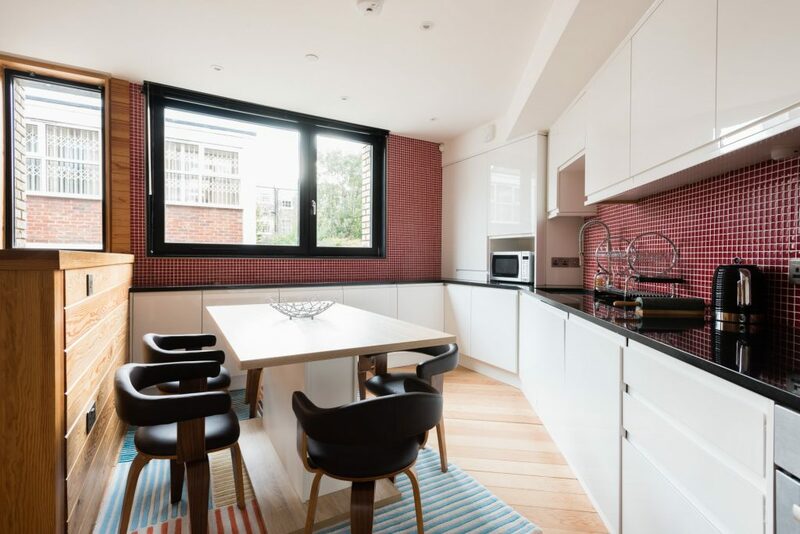 There’s also a beautiful dining area and fully fitted kitchen so the home is perfect for a family meal or Sunday brunch. The home is also equipped with high-speed WiFi and plenty of space, such as a desk and workstation to get work done should you need it. Guests will have the whole home to themselves. There is a patio nook to the rear of the home that guests have exclusive access to as well. Guests are asked to keep noise down after 10 pm to respect the neighbours on this quiet cul-de-sac. 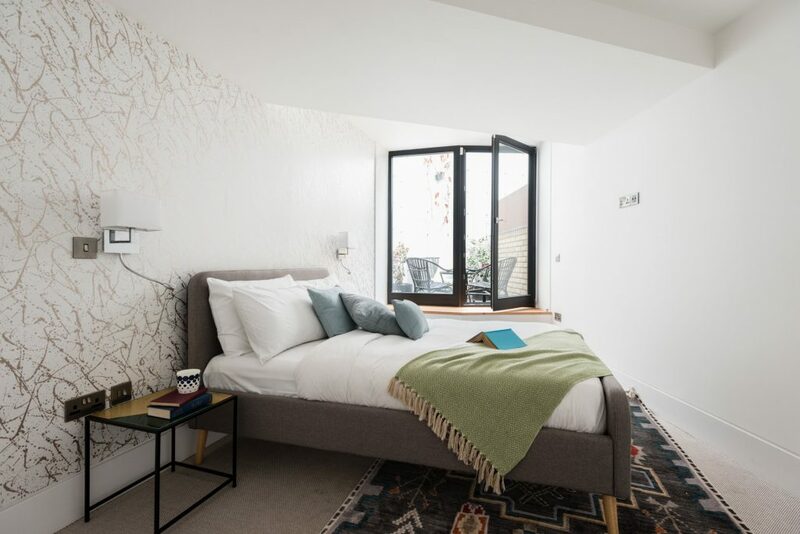 Set in one of London’s most trendy locations, this home is right in the heart of artsy, cultural Camden and has grocery stores and cafes in easy reach. 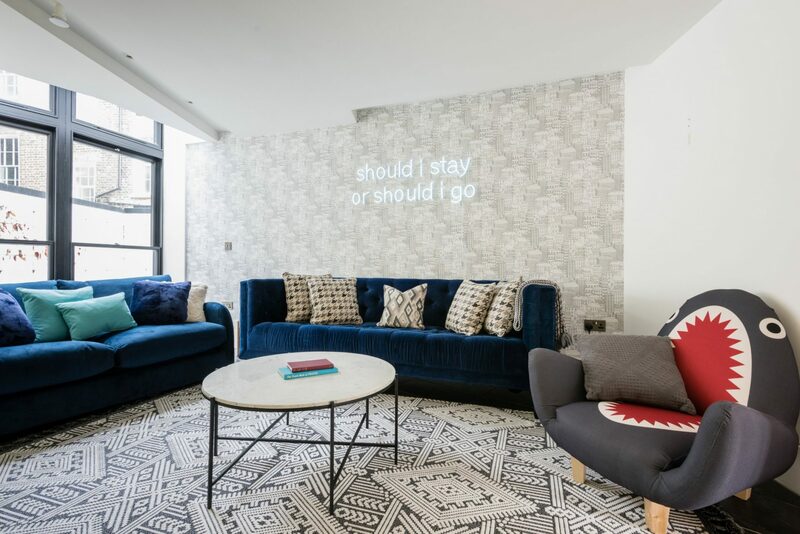 The flat is in a quirky and creative part of town, but offers easy connection via tube and bus to London’s many diverse neighbourhoods – the perfect base for exploring the best that London has to offer! Just moments from historical buildings, shops, and nightlife, you have amazing culture, restaurants, and entertainment right on your doorstep. The home does have stairs up to access the property, so it may not be suitable for guests with limited mobility. 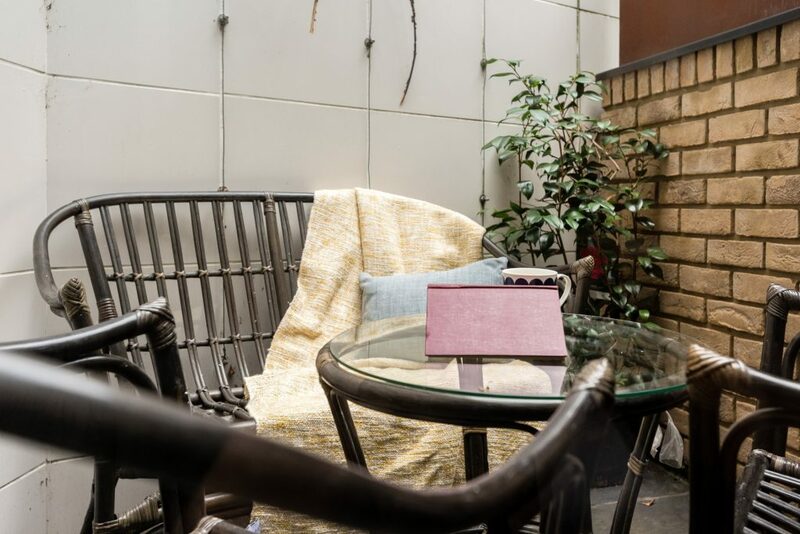 It’s also in a lively party of town so some of the hustle and bustle from the vibrant area surrounding the home can be heard on weekends and evenings. London is well connected by train stations, as well as buses, and the property is in a very pedestrian friendly area. It is well connected to public transport and main roads. 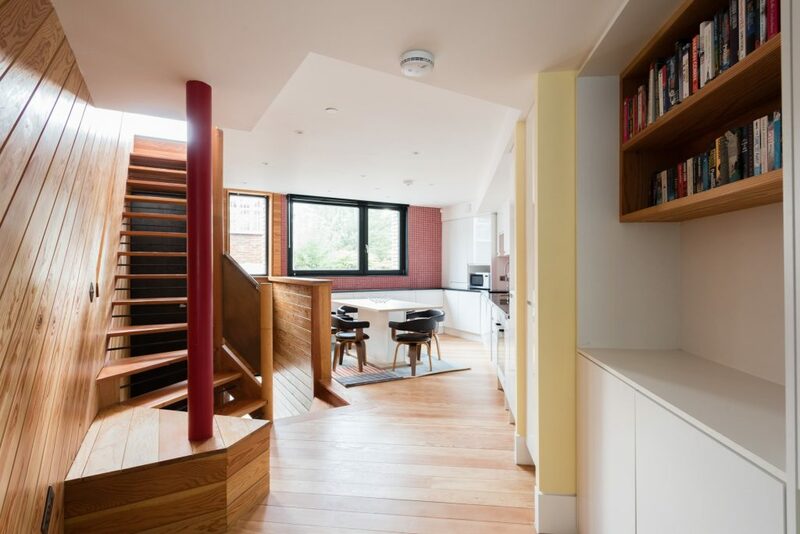 The home sits closest to Camden Road or Camden Town tube/rail stations.